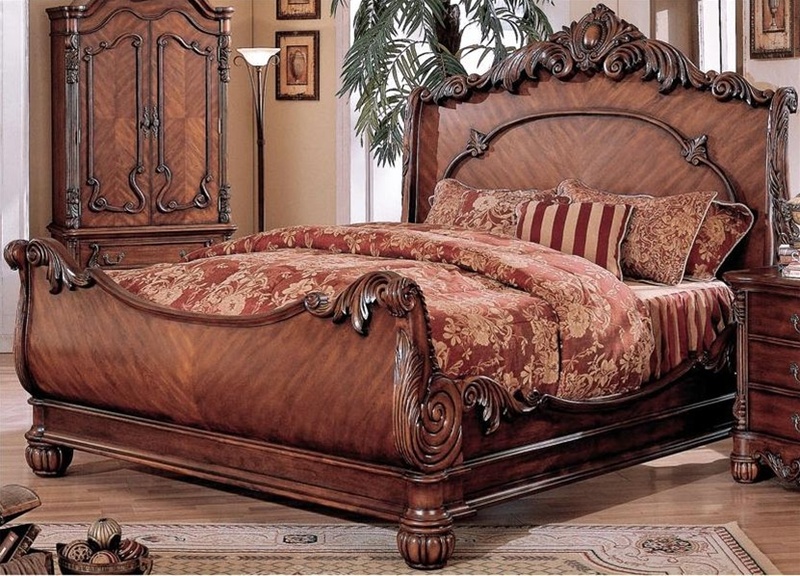 The traditional bedroom features a grand headboard and footboard with scrolls, curves and carvings. The room is set off with a pair of bedside lamps and luxurious bedding. 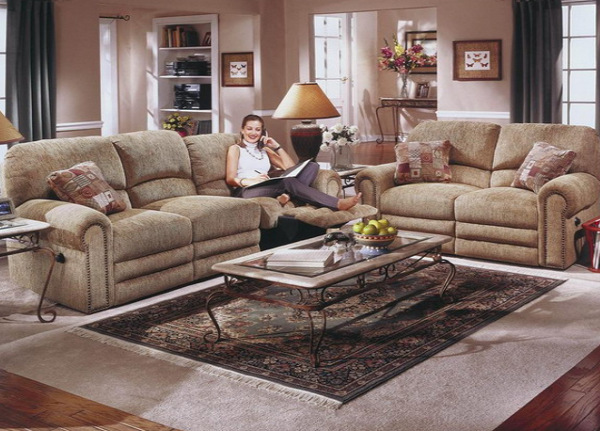 The classic camelback sofa is characterized by its short legs, neutral color scheme and rounded-back edge. Tone-on-tone fabrics, larger florals, brocades and simple plaids reflect this look. 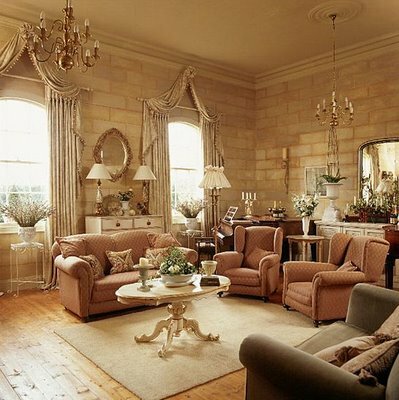 It’s not uncommon for traditional living rooms to feature pairs of everything. In this case, it’s a pair of chandeliers, table lamps and cozy chairs. 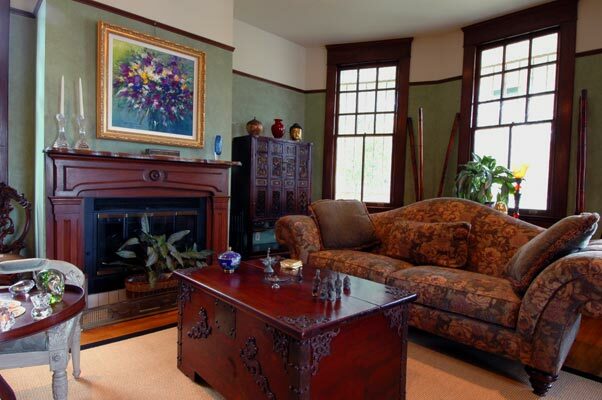 Large oil paintings in gilded frames are the artwork of choice in a traditional living room. Mid-range tones that aren’t too jarring are ideal for a traditional look that’s cozy and inviting. Classic oriental rugs and floor-to-ceiling draperies also highlight this living room. 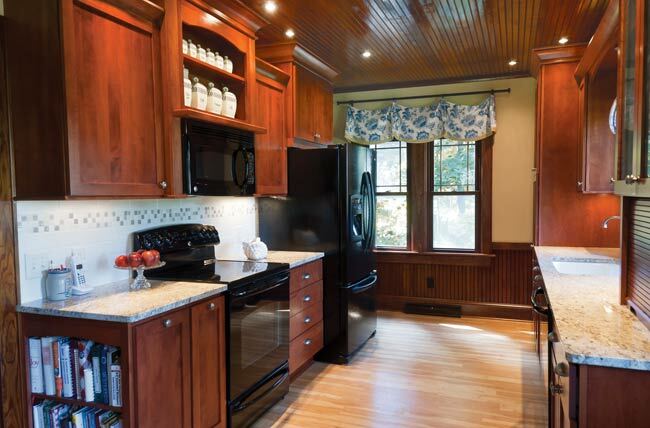 This traditional galley kitchen features simple Shaker-style cabinets and all black appliances. 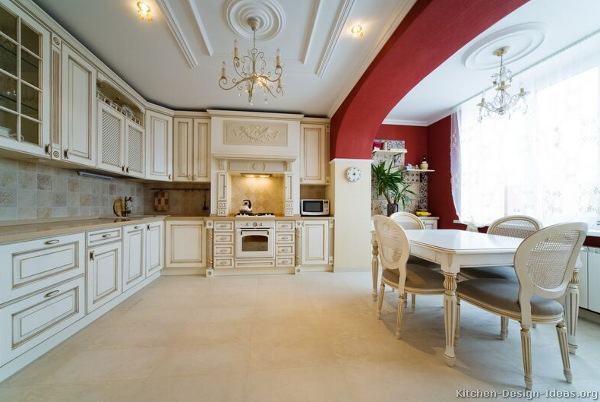 Galley kitchens are classic with American and European characteristics from the 18th, 19th and early 20th centuries. 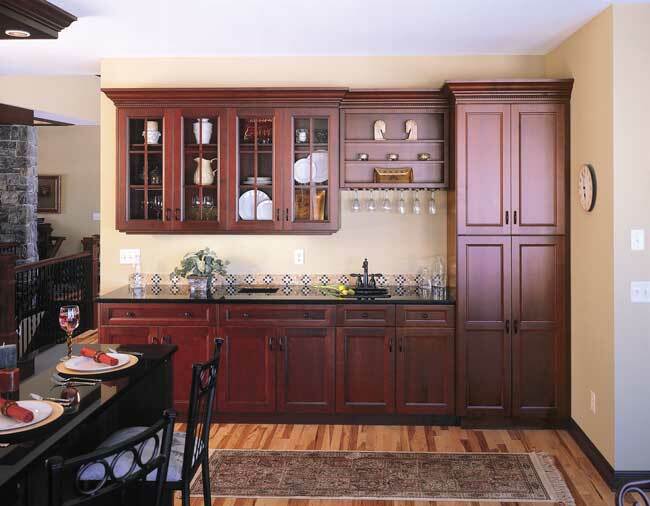 Traditional kitchens feature plenty of elegant natural wood cabinets along with classic appliances and accessories. 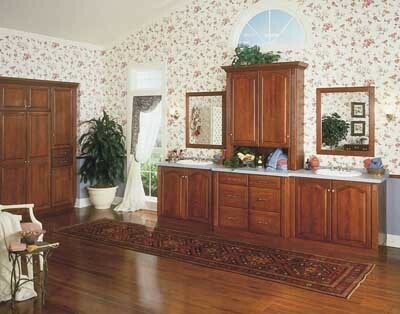 Glass door cabinets are often a highlight of traditional kitchens. 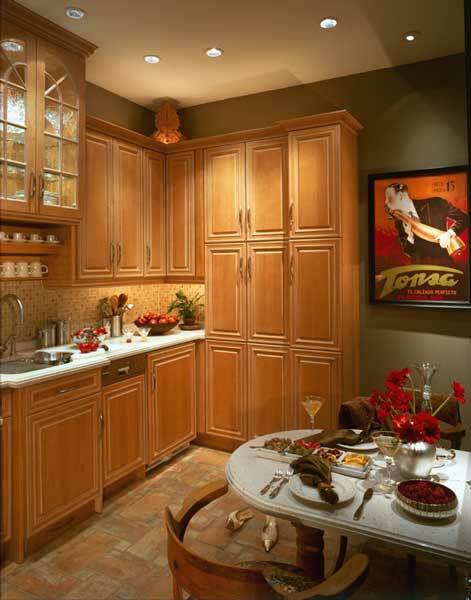 However, not all your cabinet doors need to be glass — you want to be able to hide some clutter. Though rich woods are popular in traditional kitchens, off-white kitchens are also a timeless look. Classic wood furniture generally has a mixture of both straight and curved lines. The furniture may have intricate or simple carving as well. 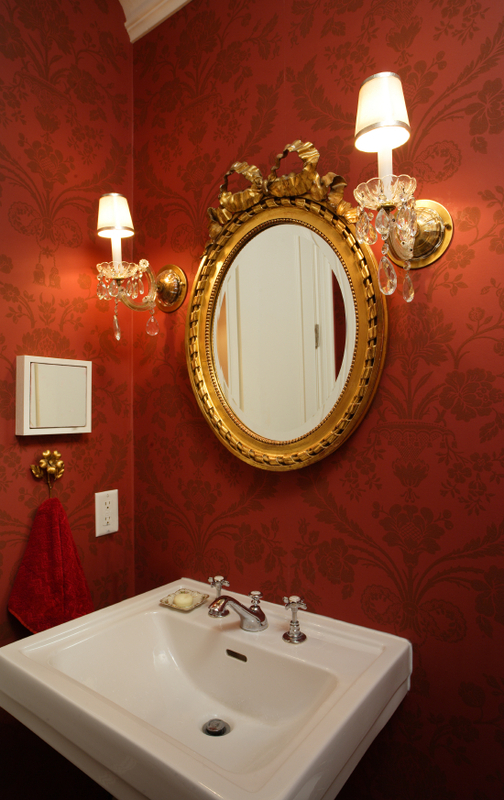 A simple bathroom can be dressed up with a gilded frame mirror and a pair of classic wall sconces. Mahogany, cherry and walnut wood are commonly used to create traditional dressers, armoires, nightstands and other bedroom furniture. They feature shell, scroll and floral motifs with carved inlays and accents. 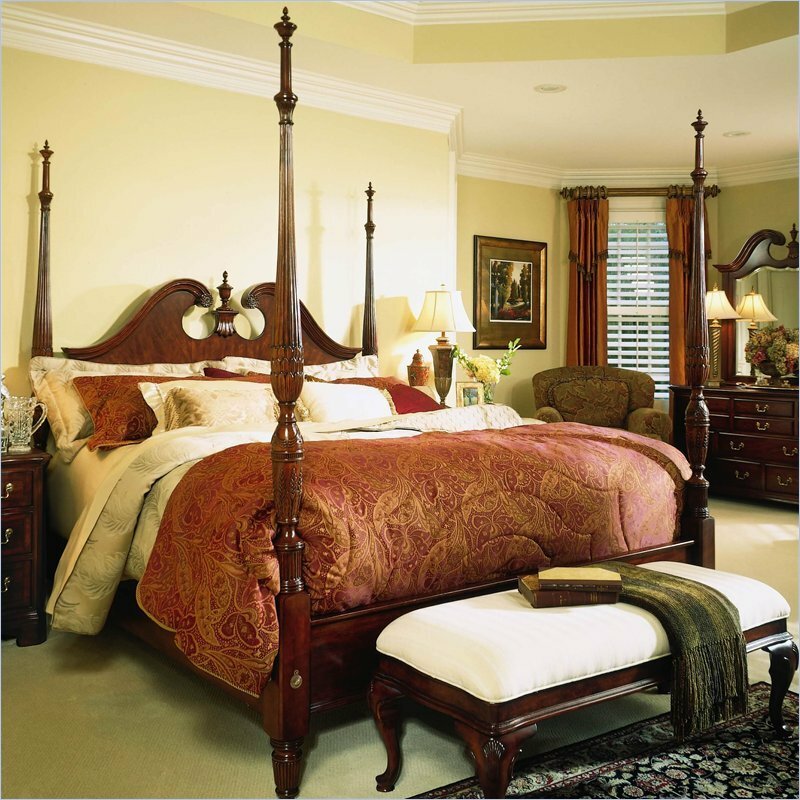 A four-poster bed can be the focal point of a traditional bedroom. This bed looks formal, yet comfortable and inviting at the same time. 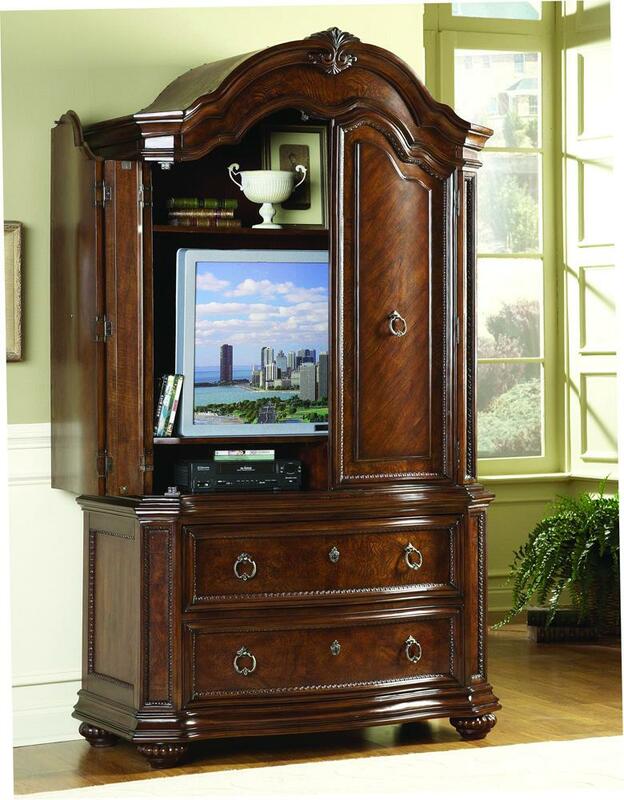 Modern comforts, such as a flat screen TV and DVD player, can be hidden away inside a traditional bedroom armoire. 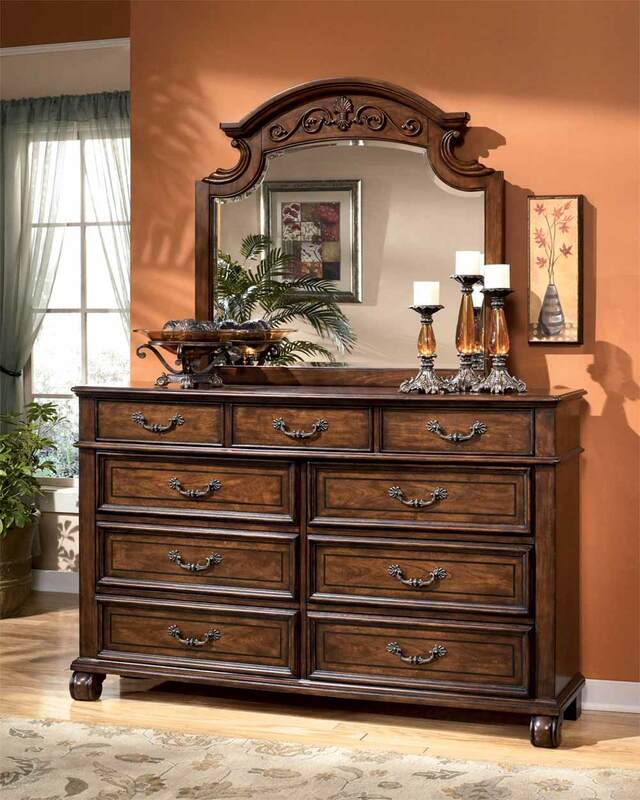 Traditional-style bedroom furniture is crafted from polished woods with rich finishes. Though some traditional furniture looks lavish, it’s also timeless with a charming Old World flavor. Rich cherry cabinets, a pair of mirrors and floral wallpaper highlight this traditional bathroom with an 18th century flair. 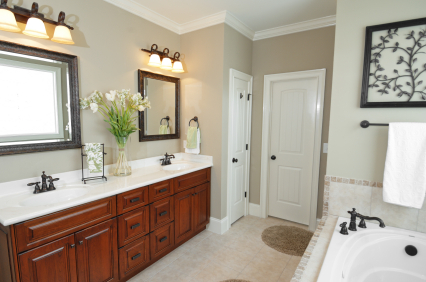 A traditional bathroom uses classic materials including ceramic tile, marble and rich wood to create timeless style. 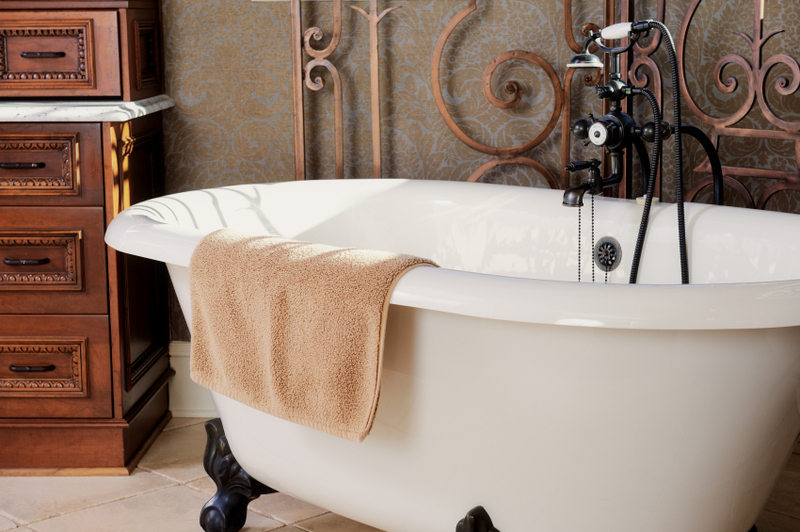 A traditional claw-foot bathtub can be a refreshing change from many of the modern bathroom fixtures we see in today’s homes. 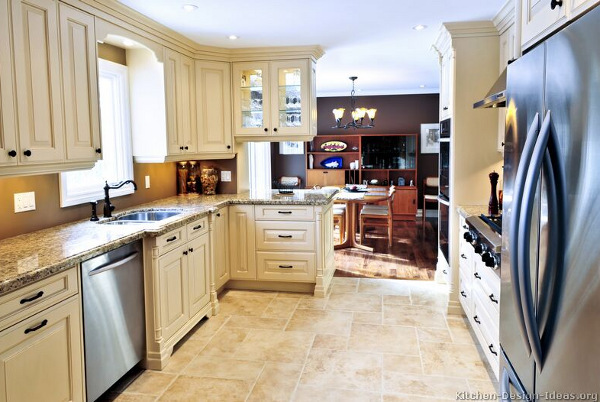 Traditional kitchens often feature ornate carvings, classic chandeliers and a neutral color scheme.